Contains numerous necessary high-level proteins marine fish require & garlic too! When used as a daily diet you can expect vibrant coloration and desirable form as a result of the finely tuned, highly flavorful nutrient mix. This proprietary pellet, sinks slowly while rapidly becoming sponge-like and replicating the texture of a live reef environment. Best of all it won't dissolve nor cloud your water. 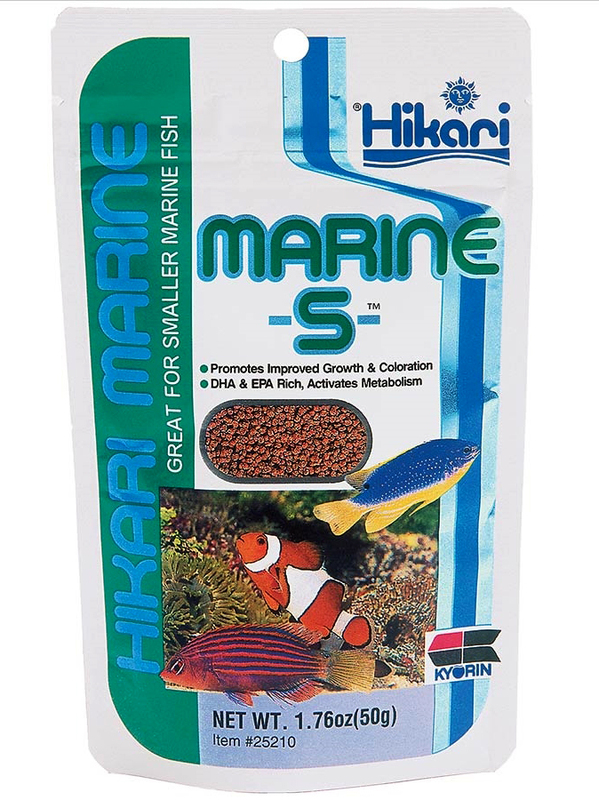 For fish that look like they just came off the reef, use MARINE-S™!